A COMPLETELY RE-IMAGINED OFFICE CAMPUS FOR TODAY'S DIVERSE AND INNOVATIVE WORKFORCE. A daily rotation of Orange County's finest foodtrucks. 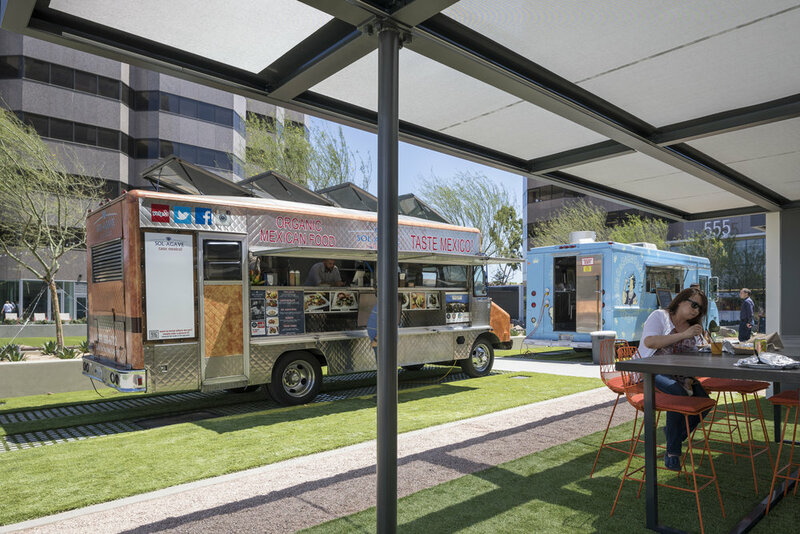 The Foodtruck Runway is the first time an office campus has taken the foodtrucks out of the parking lot and given them the space and tools to properly host our tenants and visitors. IT'S COOLER IN COSTA MESA. With numerous artisan restaurants, art galleries, shops and entertainment options, Costa Mesa is the cultural hub of Orange County.